There are several versions of where and by whom the sport of speedway was started. It is known that a type of motorcycle racing similar to today’s speedway emerged in both the United States and Australia in the early 20th century and that there were meetings on dirt race tracks in both countries. 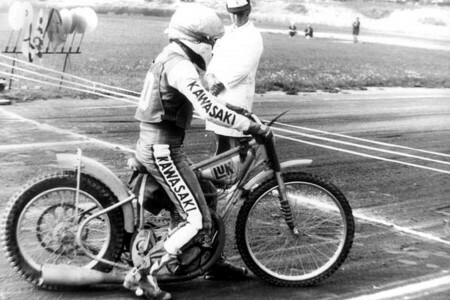 In the United States, early history of speedway was influenced greatly by individual riders such as Don Johns who is the first known rider to use broadsiding. In the 1920s, broadsiding was adopted by other riders who practised the “Short Track Racing” which is by some considered the precursor of modern speedway. According to other accounts, however, the sport was invented by New Zealand-born rider Johnnie Hoskins. 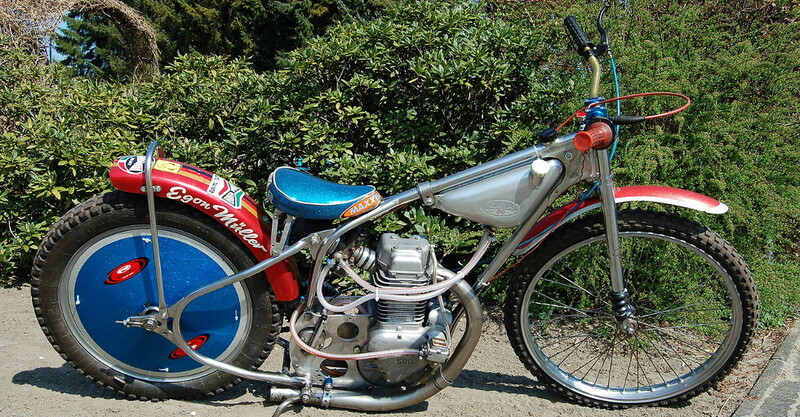 Though Hoskins’ role in the invention of the sport remains controversial, his contribution to development and popularisation of speedway in the UK is unquestioned. In addition to adoption of broadsiding in the United States and Hoskins inventing the sport, there is a third version of speedway’s origin, linking it to a meeting at the West Maitland Showground in Australia. According to some sources, this meeting which was held in 1923 was the first speedway meeting in history. However, a contemporary account of the meeting mentions earlier meetings. As a result, the origin of speedway remains a mystery. As mentioned earlier, Johnnie Hoskins (born 1892 in New Zealand) was one of the key figures in early history of the sport in the UK. He arrived to England in 1928 with a mission to popularise speedway in the British Isles. The first meeting in the UK, however, was held before Hoskins’ arrival at the High Beach in 1928 although there are also claims that meetings were held one year earlier at Camberley and Droylsden dirt tracks. However, the race at Camberley was in clockwise direction. Race at Droylsden was in anticlockwise direction but the UK’s first dirt track meeting featuring broadsiding and motorcycles without brakes took place at High Beach in April 1928. It was at this meeting where the modern sport of speedway was first demonstrated by the Australian riders. Riders at the early meeting competed in individual, scratch and handicap races but soon, team competitions were introduced. In 1929, the first Star Riders’ Championship was held in the UK with two sections, Britain and Overseas, because the event’s organisers thought that the British riders aren’t ready yet to compete with the Americans and Australians. The first “British” Star Riders’ Championship was won by Roger Frogley, while the Overseas section champion became the Australian rider Frank Arthur who beat another Australian, Vic Hurley. One year later, the British and Overseas sections were joined. The last Star Riders’ Championship was held in 1935 and was replaced by the Speedway World Championship one year later. The Star Riders’ Championship is therefore regarded as the forerunner of the World Championship which was first held in 1936.